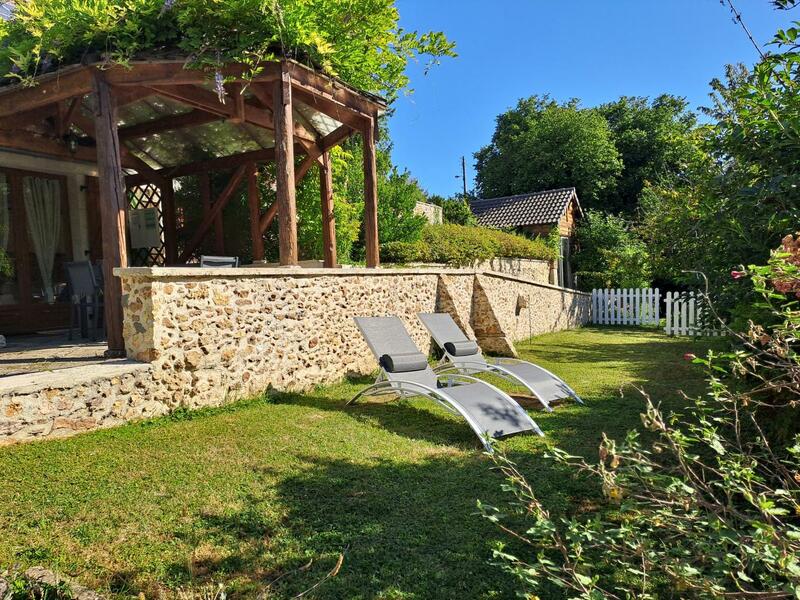 Holiday rental between Vernon and Giverny, suitable for children. 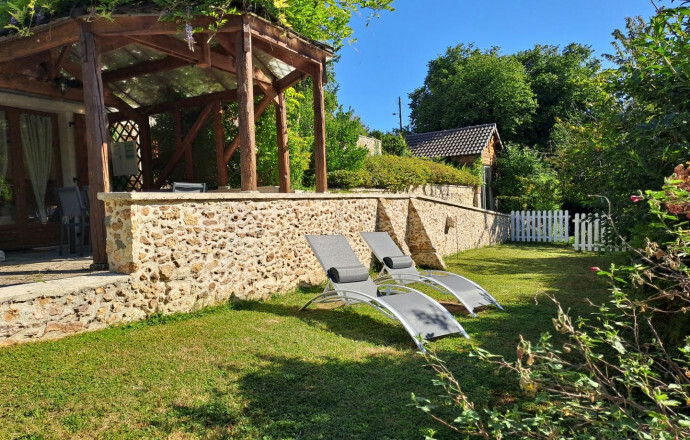 You'll discover a original and pleasant gîte in a calm, natural and historic area of the Seine valley. Christiane & Jean-Pierre will be delighted to make your stay unforgetable. 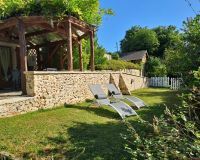 The gîte, comfortable and welcoming, adjoins the owners' house on the ground floor and opens onto the enclosed garden. Covered terrace. Gite adjoining the owners' house, with a detached access. GARDEN LEVEl : living room with kitchen area and living room, bedroom that can be separated into 2 parts if needed (2 double beds, 1 single bed, cot) and bathroom with wc. Nearby, Claude Monet's gardens and the Museum of the impressionism of Giverny, the castles of Gaillon, Bizy or of les Andelys and on-site, paths will lead you to the towpath in edge of Seine or on the shelf to remarkable panoramas. For your comfort, the heating, electricity and bed linen are included in the rental price, and beds made on arrival.